Former B.C. premier Mike Harcourt is renewing his pitch for a major public transit project in Metro Vancouver, proposing a $9.4 billion heavy rapid transit line from Lougheed Mall all the way to UBC. Both Vancouver city council and the Metro Vancouver Mayors' Council have voted to endorse a rapid transit extension to the University of British Columbia. Combined with the planned Broadway subway project that will bring rapid transit from the VCC-Clark station to Arbutus Street, the cost is expected to run roughly $7 billion. But for Mike Harcourt, that's not enough. The former B.C. premier and Vancouver mayor wants people to think even bigger when it comes to planning the next few decades of public transportation. 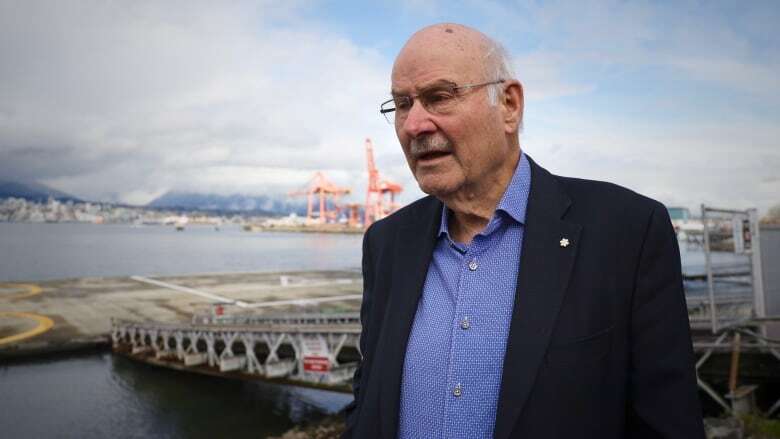 "It's one of the great cities of the world, and the people of Vancouver deserve the best transportation system we can get," said Harcourt on Wednesday. His pitch — which has been in the works for about four years, and has been publicly floated before — is to build a rapid transit line all the way from Lougheed Mall in Burnaby to the University of British Columbia. The majority of the quadruple track line would be tunnelled. "We just need to up our game," said Harcourt. "[The current plan] is not ambitious enough, and it's not in keeping with the way we have done things — boldly and long term — here in the Greater Vancouver area." As examples, Harcourt mentioned the Cleveland Dam in North Vancouver and Stanley Park as projects with enduring benefit to the region. The idea is to have two express tracks and two local tracks. The express tracks could get from Lougheed to UBC in 20 minutes, according to Harcourt. "We've got to be bold and we can finance it," he said. $4 billion in funding from the federal and provincial governments (nearly half of which has already been committed for the first phase of the Broadway subway plan). $2.4 billion drawn from property development charges from Burnaby, Vancouver and UBC. $3 billion from private capital and pension funds. 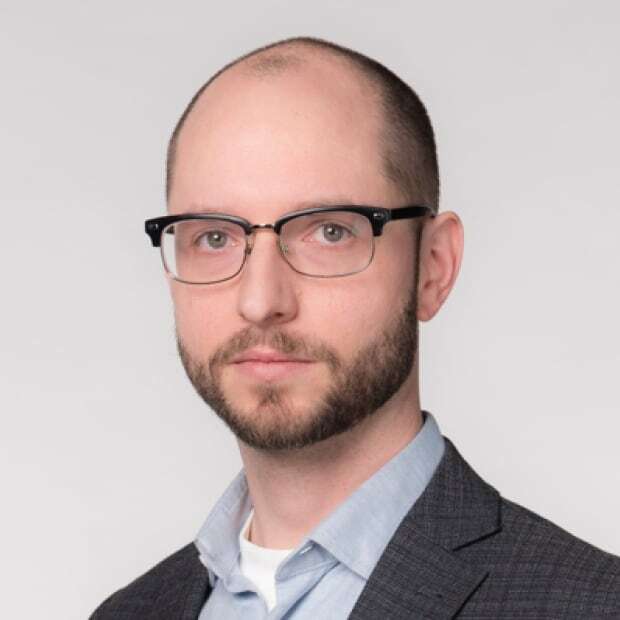 Alex Bigazzi, an assistant professor of civil engineering and community regional planning at UBC, said there's something to be said for thinking big when it comes to planning public transportation infrastructure projects. "I mean it's an ambitious proposal, but it's also kind of exciting," said Bigazzi. "When you add those other parts of the system that also makes the already planned piece out to UBC that much more valuable." According to Bigazzi, the better connected different parts of a transit system are, the more effective each piece becomes, making trips easier and quicker. Harcourt's proposal is to put a massive east-west connector through the region. "I definitely balk at the price tag, but you know, transit systems are like so many other things, where it costs more to get more," he said. Claire Trevena, B.C. 's minister of transportation, said she has had discussions with Harcourt about his plan, but so far, she isn't going for it. "[We] continue to have conversations. We want to look all different alternatives," said Trevena on Thursday. "We know we need to get people out of cars, so all ideas that come forward go into the melting pot." The provincial government has committed funds to the VCC-Clark to Arbutus phase of the current Broadway subway plan but has yet to announce a way to pay for the section that would run to UBC. "We are, at the moment, focusing on the mayors' plan and want to make sure we have the investment in the line to UBC. We're looking at what we can do in Surrey," she said. "But it's always interesting to see new ideas on the table."